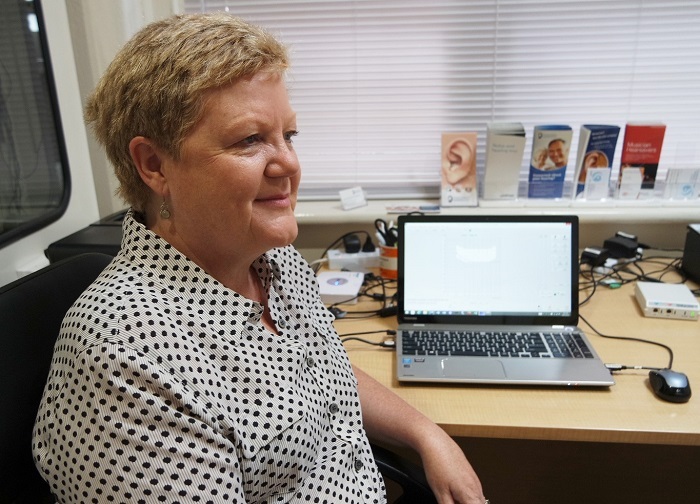 After 30 years working for others in academic, clinical and research audiology, Alison Hennessy decided to start her own practice. Alison knew about all aspects of audiology and wanted to establish her own business so that she could set her own goals and work towards her own personal priorities. Providing quality patient service and running her own business would give her the freedom to do it her way. 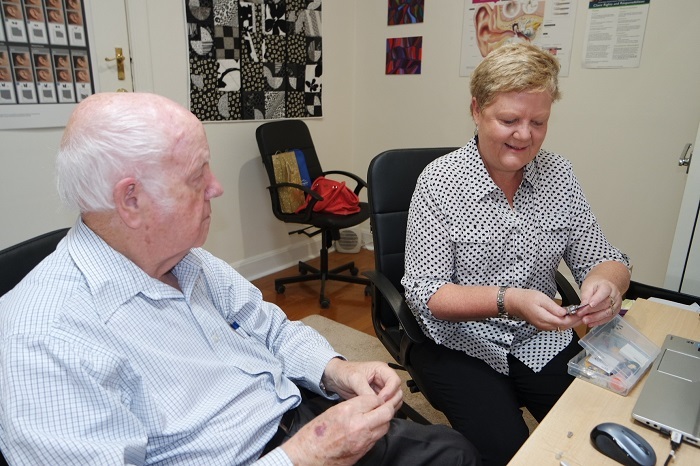 Alison was a member of the Professor Graeme Clark-led team that developed the Bionic Ear (cochlear implant), eventually becoming Coordinator of the Cochlear Implant Clinic at the Royal Victorian Eye and Ear Hospital. She also spent many years at the University of Melbourne lecturing on hearing loss, hearing devices and rehabilitation, and coordinating the hearing aid service in the University of Melbourne Audiology Clinic and its private clinic Academic Hearing Aids. But Alison had not run her own business, so needed help getting started. Thanks to the Small Business Mentoring Service (SBMS), she was soon well on her way to success. Before she opened her doors, Alison wanted to ensure that she had all her bases covered. She felt a little out of her depth and wanted to speak to someone who had run a business and would know what steps she needed to take and how to prioritise them. Alison learned about SBMS on the Maroondah City Council website. She was matched with mentor Gilly Swinnerton. As a mentor, Gilly shares the insight she gained from a range of experiences in health care areas including hospitals, wholesaling, pharmaceuticals and Monash University in Parkville. She also spent 15 years as director of an architectural joinery business with her husband, managing the estimating, finance and marketing. Alison had four sessions with Gilly over several months, three in person and one on the phone. Gilly advised her about the steps she needed to take before leaving her employer, and how to prioritise them. They discussed finding business premises, how to develop referrals, choosing equipment and planning and implementing a marketing strategy. The sessions also boosted Alison’s self-confidence and belief that she could be successful once she worked out what was required. 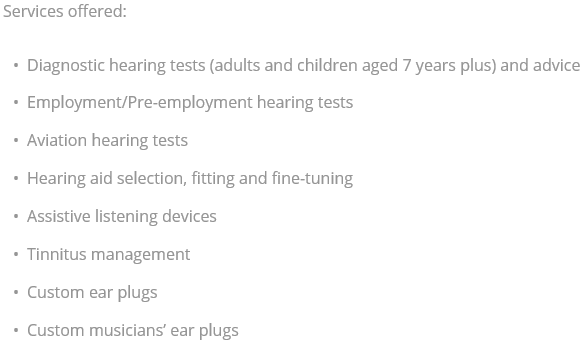 Alison Hennessy Audiology P/L opened in Mitcham in January 2015 and provides a range of services including the fitting and adjustment of hearing aids and accessories, pre-employment checks, diagnostic hearing tests, tinnitus management, custom-made plugs and aviation testing. Clients come from a wide area, and are both publicly and privately funded. With her vast experience, Alison offers personal and independent advice and services. Integrity and client-centred care are both extremely important to her. After seeing Gilly, Alison was able to focus on her priorities, build a business plan and complete monthly reports. In the business’s first year, Alison steadily built her client base, did some consulting and has fitted hearing aids from a wide range of manufacturers, based on client needs. She also began to attract GP referrals. Alison’s professional satisfaction increased as she was able to efficiently sell her services to and offer workable solutions for existing and new clients. She has signed a new lease, sharing facilities with other health professionals. The Mitcham clinic, which is accredited with Medicare, the Office of Hearing Services, Department of Veterans Affairs and WorkSafe, is doing well. Alison’s high quality professional services cover clinical testing, advice and rehabilitation. She fits competitively priced state-of-the-art digital hearing aids from all Australian manufacturers. Alison says if she hadn’t met Gilly she would be floundering and lacking the encouragement she needed to persevere by herself. She says Gilly’s advice and support gave her the information and confidence she needed to branch out and start her own practise. “Gilly and the SBMS have provided invaluable assistance in the start-up and ongoing growth of my business,” she says. "The advice has been very practical and do-able, and there has been realistic encouragement along the way, which has been great!" Gilly says Alison was already on the right track, but having a mentor is helping her to reach her business potential. “I think Alison had the right ideas, but as a mentor I was able to help her select her priorities, develop disciplines to structure her business processes, and give her the confidence to step outside her comfort zone, together with ongoing support and encouragement,” she says.